School kicked off this week, but before it did, our volunteers were busy helping the teachers prepare for their new students the week before! It was a beautiful day that was filled with laughs, sunshine, and of course, some cleaning! 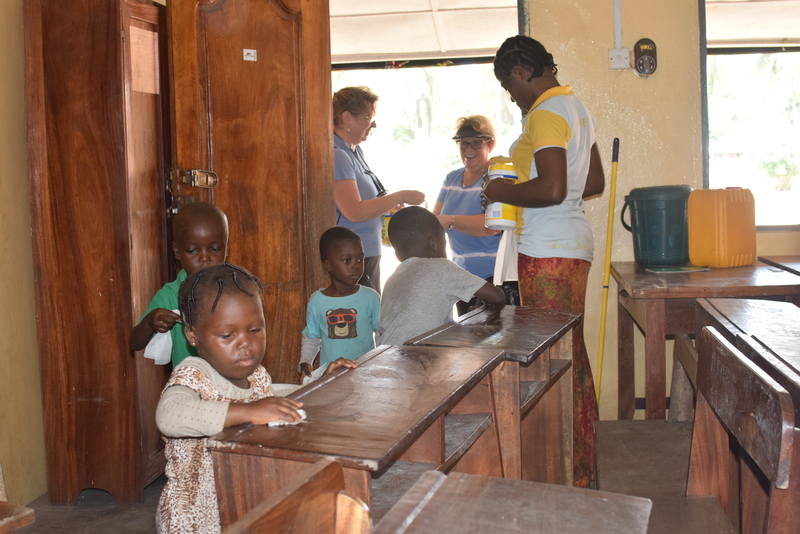 As some of our volunteers helped the teachers rid the spider webs from the shelves, clean the desks, and organize the rooms, Lady Salami was busy showing our other volunteers the hard work that had continued during the summer break. The teachers and Lady Salami didn’t get much of a break as they continued to look after the prosperous chicken coop that they are looking forward to utilizing the benefits of this school year. To compliment their growing desire to become more self-sufficient in nurturing their students, their crops were well looked after and continued to grow in great number during the break! Though our foundation is still in the midst of our Hot Lunch Program, which brings out rice, beans, oil, semolina, spices, and other staples monthly to nurture the students, great progress in regards to self-sustainability is certainly happening and inspiring hard work out at the school! 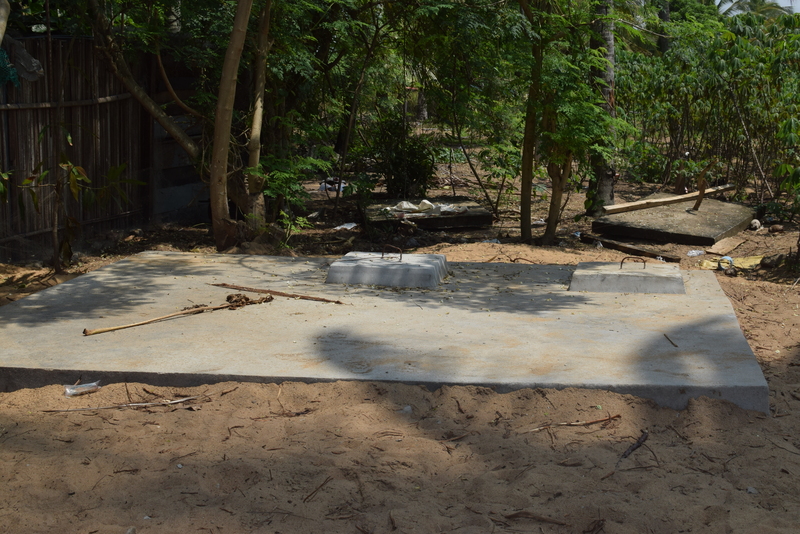 A new soakaway, or dry well, which helps with properly disposing of the waste from the restrooms, was installed during the break. With its proper installation, the school’s maintenance was made ready for the arrival of the students. With maintenance in order, classrooms cleaned, fresh food in supply, and happy teachers, we left eager to be a part of this new school year and watch the school’s doors welcome the students, new and old! We are currently in the midst of preparing for our Annual Silent Auction! As our biggest annual fundraiser, the proceeds help us to meet our annual goals for the school. On behalf of Lady Salami, the teachers, and the students of Ishahayi, we thank you for your compassionate giving and ongoing support. It is because of you that the future of this village is looking brighter. Everyone decided to help out!